Questioning if the proposal was true, Congress spokesperson Abhishek Manu Singhvi said it was in “BJP’s DNA to seek political mileage from martyrdom of soldiers”. Amid reports that the Army may cut 1.5 lakh jobs, the Congress on Wednesday came down heavily on Prime Minister Narendra Modi for his extravagance on self-promotion but keeping the Army cash-starved. “If it is true that the Defence Ministry has a proposal that it wants the Indian Army to shed 1.5 lakh jobs, then isn’t the Modi government guilty of destroying more jobs? 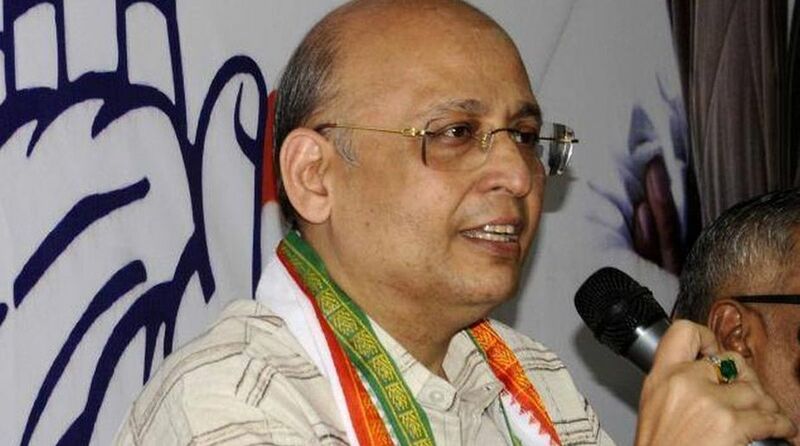 1.5 lakh families will be severely affected by this decision,” Singhvi told the media here. “If the government can spend Rs 5,000 crore in the last 4.5 years on publicity of the Prime Minister, why can’t it spend that same amount for weaponry and ammunition for our armed forces?” asked Singhvi, citing media reports which claim the job cuts would enable the cash starved Army to save Rs 5,000-7,000 crore which could be used replenish its stock of weaponry. Attacking further, the Congress asked why can’t the Army be provided adequate funds when Modi had “spent Rs 35 lakh on his fitness videos, Rs 60 crore monthly on updating his pictures on petrol pumps, Rs 1,100 crore on a sprawling BJP headquarters, Rs 2,000 crore on his foreign travels. “The Modi government has earned a windfall of Rs 11 lakh crore by levying central taxes on petrol-diesel, it squandered Rs 41,000 crore by overpaying in the Rafale purchase but it cannot spend Rs 5,000-7,000 crore on the Indian Army,” Singhvi said. Accusing the Modi regime of “systematically compromising” national security, the Congress leader blamed the government for the killing of 410 soldiers in Jammu and Kashmir (since 2014) and 243 troopers in Maoist attacks (since 2015). He also cited excerpts from testimony of former Army Vice Chief Lt Gen. Sarath Chand to the Parliamentary Standing Committee on Defence wherein it was stated that the Army doesn’t have sufficient funds to pay for ongoing schemes, emergency procurement, weaponry for 10 days of intense war and future acquisitions among other issues.